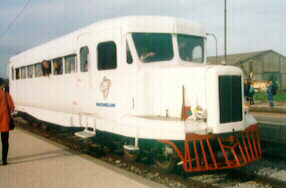 At the Baie be Somme Railway in Northern France, This railbus was returned from Madagascar(?) 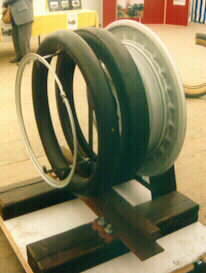 and restored to service with sposorship from Michelin. 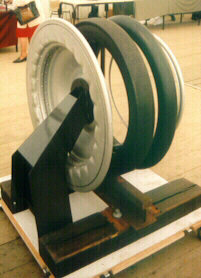 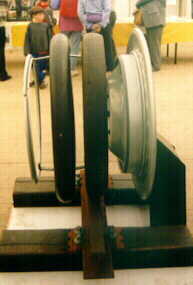 These photo's show the rubber tyre system, with a metal flanged wheel, an outer tyre that rides on the rail, an inner tube, and a retaining ring.